In a commercial world, we offer a personal service tailored to you. If you’re planning a trade exhibition or you are looking to streamline your logistics we can help. Up a few floors, across town, or nationally we have the team for your office move. 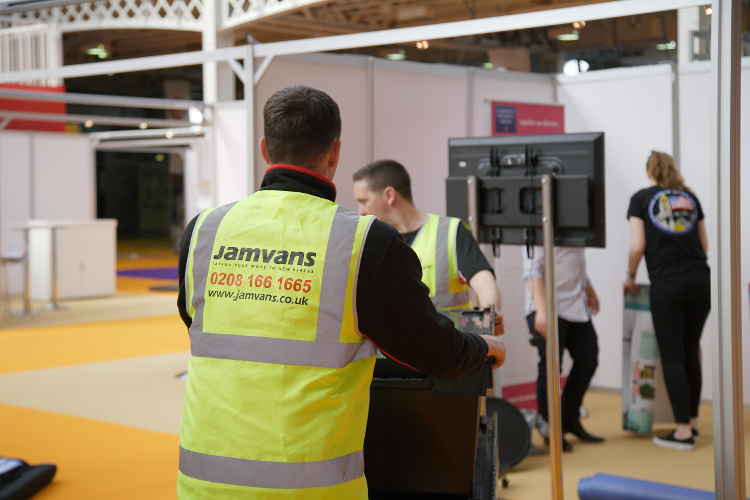 Take a look at what JamVans have to offer for your business relocation. Click here to contact us for office moves and commercial services. Do you need a reliable furniture delivery company? Or simply have a product that needs dropping to multiple locations by a team with amazing customer service? Take a look at how we can help you. Let us show case our exhibition services whilst you showcase your business. Click to view our range of exhibition logistic services. Check out our flexible storage options.